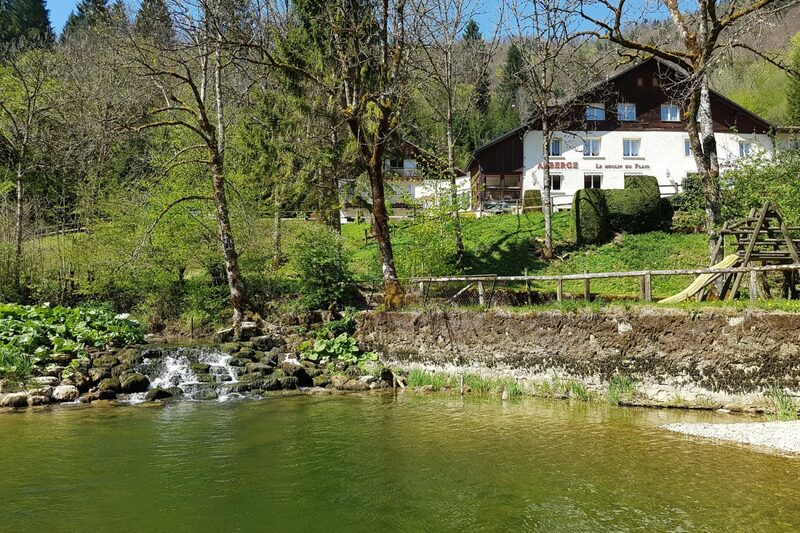 Ideally located in the heart of the French-Swiss valley, The Moulin du Plain has known during years the finest moments of fly-fishing. With the development of green tourism, the hotel also welcomes now many hikers, bikers. In the heart of the French-Swiss valley. Created in 1961 by Pierre and Odile Choulet on the basis of a farm of 1773, the Moulin du Plain originally aimed to be as a holiday cottage for fishermen. The discovery of the site by very select T.O.S. association, (Trout Grayling Salmon) who suggests the creation of a fly-fishing course insures the success of the hotel which, upon request of the guests, will keep on expanding and improving. The gotha of fly-fishing, competitors, journalists, captains of industry and old nobility makes this place their rallying point and starts to build the legend. The magazine BON VOYAGE had even classified the Moulin du Plain among the 100 most fancy places in France, next to mythical hotels. Later, fly-fishing having become more democratic, the “jet-fishing” make way for a family clientele also passionate about fly-fishing, nature and hiking. Located on the route of the GTJ (great Jura traverse) and of the long distance hiking trail GR5, the Moulin du Plain welcomes many hikers and mountain bikers. We try to preserve the values of hospitality and conviviality that have always been shared between our guests and our family a well as the members of our team.